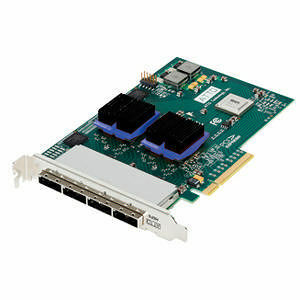 The ExpressSAS H6F0 provides high-speed 6Gb/s performance at 600MB/s per port. By utilizing a serial, point-to-point architecture, in addition to PCI Express 2.0 bus technology, ExpressSAS 6Gb/s HBAs are engineered for demanding IT and digital media applications which require more performance than 3Gb/s SAS/SATA can provide. The ExpressSAS H6F0 features 16 external ports and allows connections to 512 end-point devices. Included with all ATTO HBAs is an easy-to-use utility enabling management, monitoring and configuration which leverages an intuitive GUI. ATTO's exclusive, field-proven Advanced Data Streaming (ADS™) Technology helps users meet the most demanding performance requirements of bandwidth-intensive applications. ADS achieves this performance increase by integrating a combination of features engineered to allow for the controlled acceleration of data transfers.